We're the largest Segway tour company in the Southwest and recipient of numerous awards from TripAdvisor and Viator. 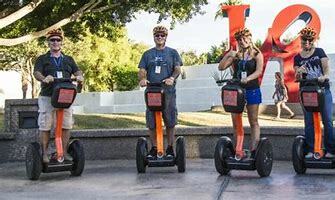 First established in 2005, Segway of Scottsdale remains the only authorized Segway tour company and dealership in Arizona. Now celebrating our 13-year anniversary, we are proud to say we are the largest Segway tour company in the American Southwest and winner of the 2017 Traveller&apos;s Choice Award from Viator. 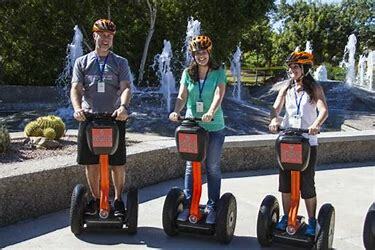 We currently offer several Segway tours in Scottsdale and Tempe, as well as a special Christmas Lights tour in December. 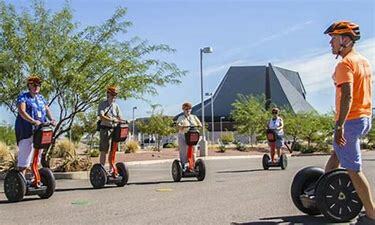 While on one of our tours, ​you will use a state of the art audio system to hear your tour guide’s historical narration and the occasional catchy tune while you glide on a Scottsdale Segway.